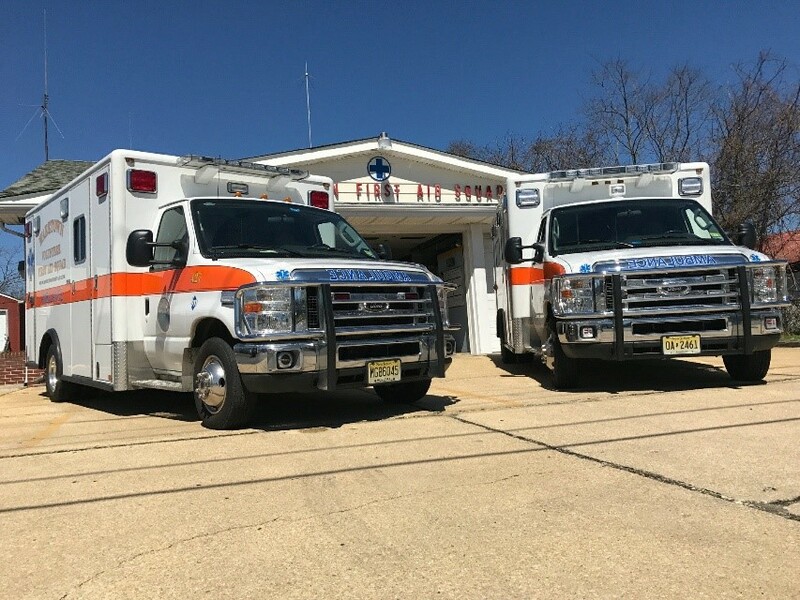 The Waretown First Aid is an all-Volunteer EMS Organization founded on April 5, 1962 by 26 Ocean Township residents and 5 members from Barnegat First Aid including William and Hazel Meade. Though they are no longer with us their spirit of hard work and dedication will be with us always. Waretown First Aid began service with a 1957 Cadillac ambulance. With the cooperation of the Waretown Fire Department, our original ambulance was stored inside the firehouse. In 1966 the Ocean Township Board of Education provided property for a First Aid Headquarters, the same in which we remain today. Prior to the construction of the First Aid Headquarters, the original "Little Red Schoolhouse" sat on this property where it was abandoned in 1959 by the Board of Education. The Waretown First Aid Squad currently handles various types of calls ranging from medical emergencies, motor vehicle accidents and car/structure fires. Answering your call for help is our primary mission. Our 100% volunteer membership is perpetually advancing their education to promote and fine-tune their skill sets to better serve you. When not responding to a call, we participate in the community by providing stand-by emergency assistance at races, parades, drills, various community happenings and more! If you’re interested in joining feel free to stop by if you see us around or check out our website @ www.waretownfirstaid.com and keep an eye on our Facebook page @ https://www.facebook.com/WaretownFirstAid to see what we’re up to! We also have a dedicated and hardworking support system in our Waretown First Aid Auxiliary. They frequently hold fundraisers around town to support the squad from the annual car wash to the soup sale and so much more! Check them out on Facebook @ www.facebook.com/wfasauxiliary.